English hymnist and leader of the English Methodist movement, with his older brother John Wesley (1703 – 1791). They were the son’s of an Anglican clergyman and poet Samuel Wesley (1662 – 1735). He was the father of composer Samuel Wesley (1766 – 1837). 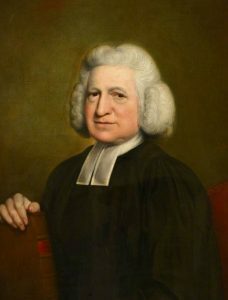 Charles Wesley was educated at Oxford, and went on to write over 6,000 hymns.